How many players do you know that have become top players despite the adversities of life seek always to clip their wings? Certainly in many. Sports in General can take revenge that perhaps we couldn't afford ever. Our journey today from Africa and arrived in North America, specifically in Vancouver, Canada. 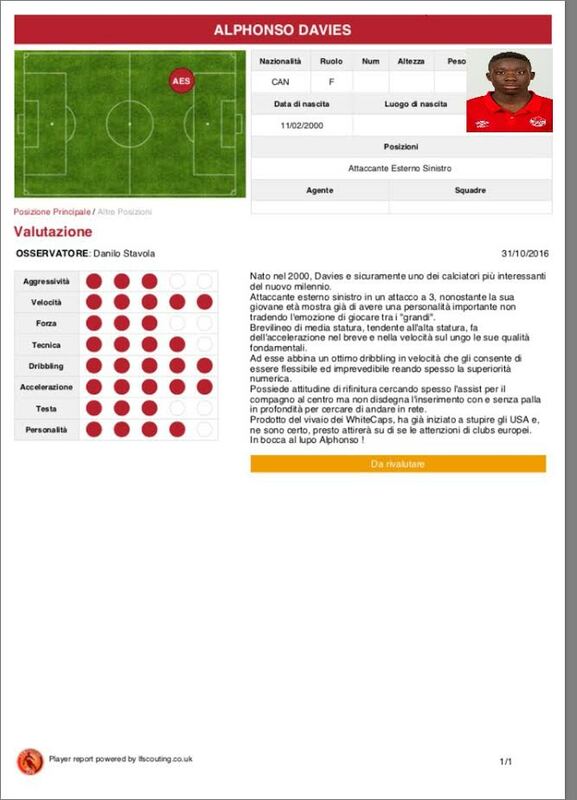 the story that Danilo Stavola and LFScouting want to tell you something that gives hope to all of us to achieve what we want in life, sports or social level: the story of Alphonso Davies. The little Alphonso was born in Liberia, war-torn land, every day. Thousands and thousands of people struggle every day between life and death. Alphonso being small, does not understand what is happening around him, but from an early age, any note that has a talent with the ball at his feet. Her parents decide for the turning point: it's on, trying to build a better future for them and for the children (brother Alphonso is a footballer). The choice falls on Canada. The acclimatization is difficult, both in the social climate, but the urge to take revenge is too large to make a dream may vanish. As mentioned earlier the younger Davies grows with the balloon attached to the feet and this begins to attract the attention of MLS club. 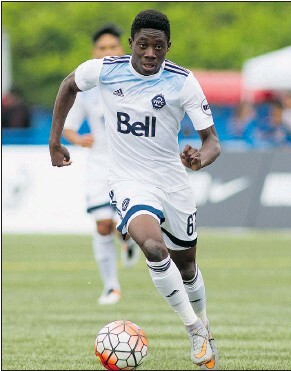 But when one has talent, can only burn each stage and that is precisely what makes his debut with just 14 years Alphonso: Whitecaps and marks. That's it? Not at all. His performances are rising, marks in the American League, American League procures two penalties and continues to impress. Talent cannot be hidden and in fact Mourinho and Klopp begin to move their Scouts to see this phenomenon. "I am grateful to Canada for occasions that is giving me and my family – said in an interview to Canadians-not ashamed to say that we risked our skin and go hungry, but here we found a home and a future. Football? It remains a fun: turning pro would be a dream, but if I finish schools with brilliant grades my mother sends me to make professional in discount stores, unloading crates in stock … ". Mom Davies is very picky with the school but can sleep sleep, its Alphonso knows what he wants out of life, a life full of satisfactions and joys dreaming of European football, that kick that saved his life. This entry was posted in News and tagged Canada, Davies. Bookmark the permalink.